I haven't posted in a couple of days because I've been working on a grain free stuffing recipe and just don't have it exactly where I want it yet...but it's close! Last night I completed my first attempt on this project that I actually started working on Wednesday night. 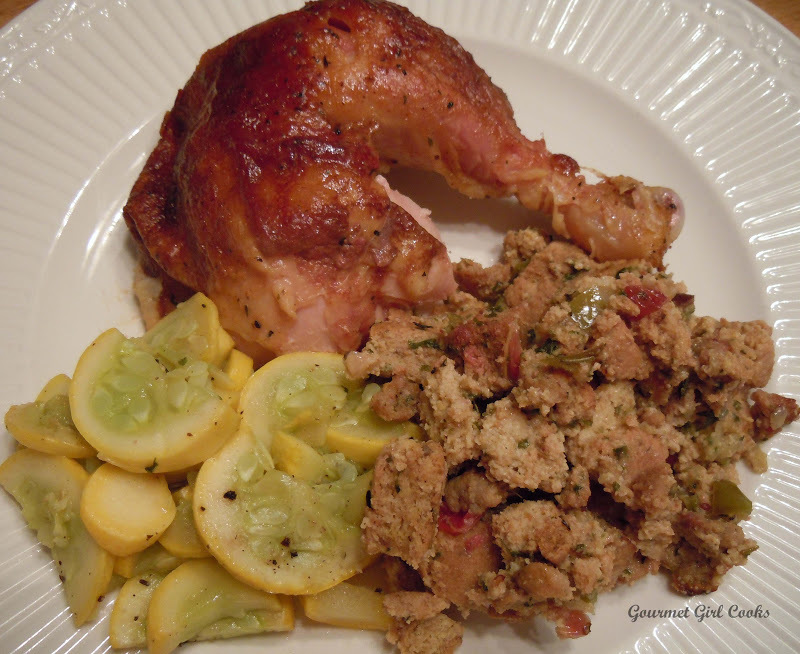 I wanted to try my hand at making grain free stuffing (or dressing). The first item I had to tackle (and the most tricky) was making the bread cubes to use in it. 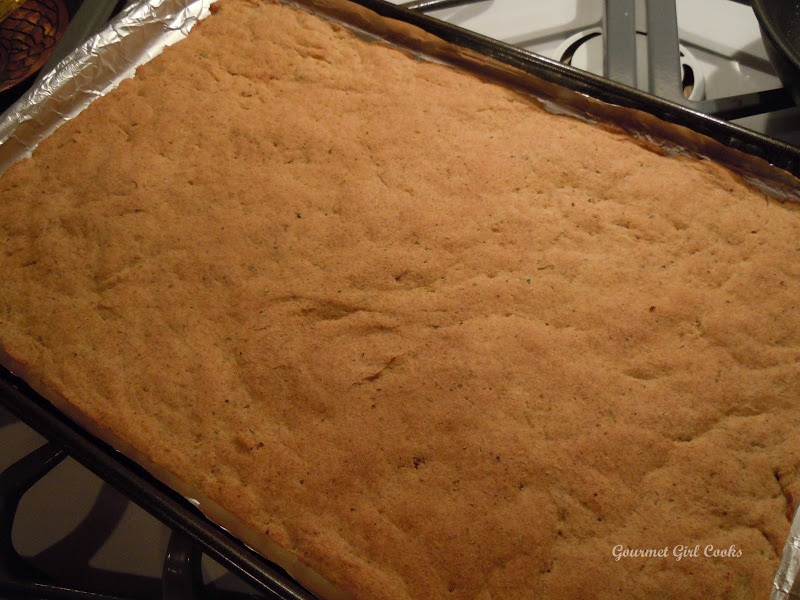 I wanted them to be solid enough to hold their shape and not melt or crumble and become mushy when baked along with the broth, veggies and herbs. I decided to modify some of the previous bread and pizza crust recipes that I've created and morph them into something that would work as the bread to be used in my grain free stuffing. I wanted them to be lightly seasoned but not overly so because that can be added later in the actual stuffing recipe. I didn't want to use all flax meal or all almond or coconut flour either. I decided the best approach for my first attempt would be a combination of all three of those. Once I mastered the "bread cubes"...the actual stuffing recipe is basically just a matter of personal preference and taste. Some people like fruit in their stuffing, others like only veggies; some like sausage in their stuffing or nuts too...and then there are those of us that like EVERYTHING in our stuffing...apples, cranberries, mushrooms, celery, onion, sausage, turkey broth and fresh herbs and spices. That is what I added to the stuffing I made with my "stuffing bread" creation. I put it all in there (except for the mushrooms because I can't disguise them easily from hubby). 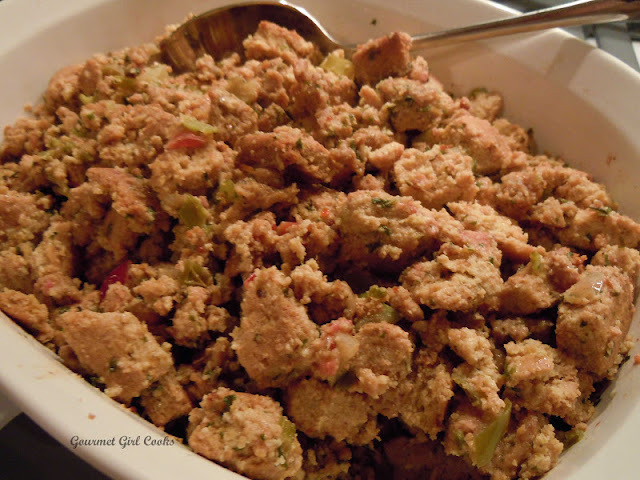 :-) While I have the recipe that I used for this stuffing -- it isn't 100% where I want it to be yet, so I am not going to post it until I feel it is up to my standards -- it actually tastes good, but the bread cubes are more dense and heavy than I want them to be. I am going to continue working on the blend and ratio of ingredients to lighten it up a bit. In other words, it needs to be tweaked a bit before posting. I snapped a few photos of last night's dinner that I served with the first "test batch" of stuffing and hope to be posting the perfected recipe soon! This evening I did all my Thanksgiving shopping to avoid the crush of the crowds this weekend. It feels good to have that out of the way! So now I have all weekend to play in the kitchen! :-) Check out the pictures of my "work in progress" stuffing below. Enjoy! Stuffing Recipe..."under construction" -- "Take One"
Here it is with our dinner last night...it was pretty good, but it wasn't "perfect"...yet! Wow! I was hoping you'd be working on this. 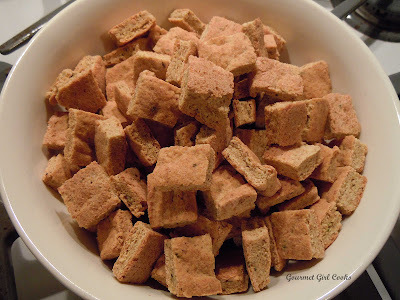 I adore your blog and recipes (wheat free and delicious and beautiful)! I really appreciate your blog and all the work you put into finding delicious wheat free alternatives.